I know I should hate the movie because it’s complete trash but it’s a guilty pleasure of mine. 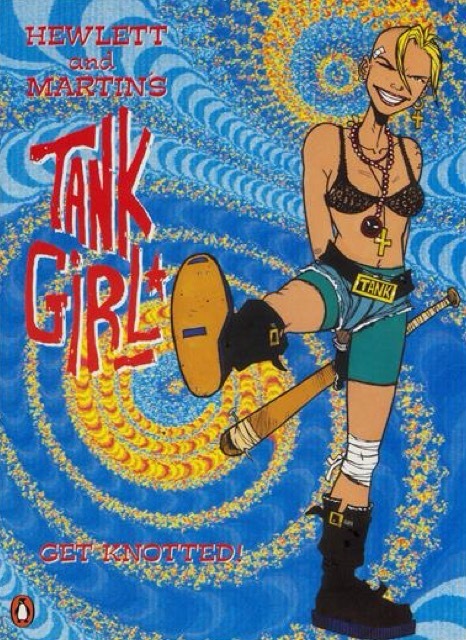 I did not like Tank Girl whatsoever, not the movie nor the comic. Definitely not for me. 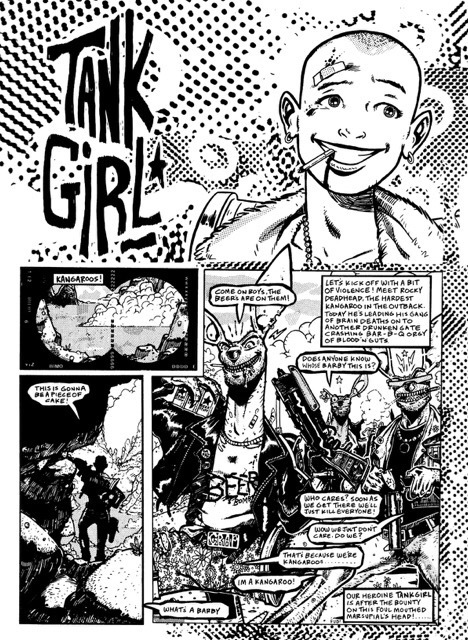 A graphic novel is an original story printed in some sort of book format while a trade paperback is a collection of reprinted stories from single issue comics. Are you sure you’re not a fan?? You don’t sound sure… Lol 😉 Okay… I guess this was a trade paperback! 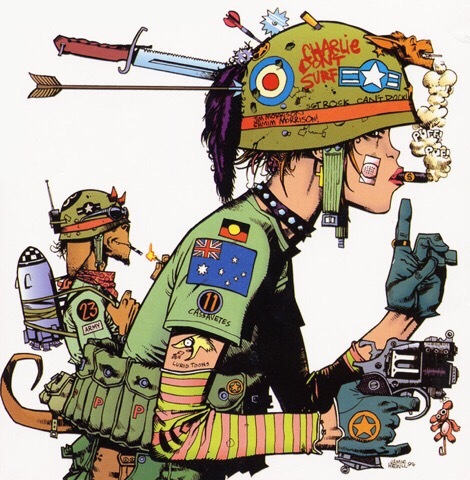 So I’ve still only read one graphic novel in my lifetime. 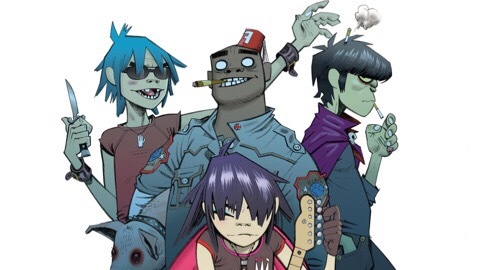 Oh man, I love the Gorillaz too!!!!!!! High fivez!!!!!!! 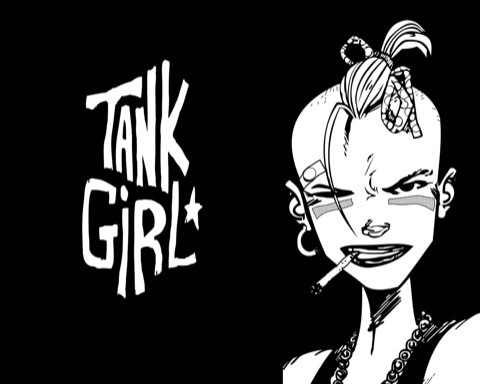 I think Tank Girl would be an interesting read. I’m glad someone else shares my fascination with kangaroos. 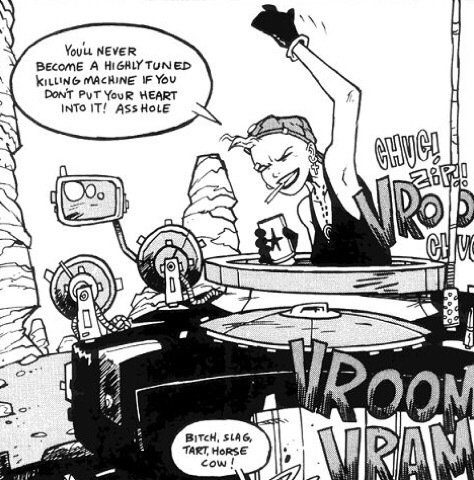 Man, I enjoyed The Gorillaz!